Our trained team of experts specializes in personalized landscaping projects for both homes and businesses. We handle everything from general maintenance to installing custom stonework and swimming pools. Call for your free commercial or residential landscaping consultation today. Add instant curb appeal to your property with Cypress Hills Landscaping Inc., your source for commercial and residential landscaping in Caledon, Ontario. From routine lawn maintenance to designing custom gardens, we add a personal touch to every project. Cypress Hills Landscaping Inc. was established in 1994, and has been a member of Landscape Ontario since 1996. Mike Cromack, our founder, has more than 25 years of experience in the horticultural field. Our number one priority is your satisfaction. We ensure that your property will flourish and maintain its natural beauty for years to come. 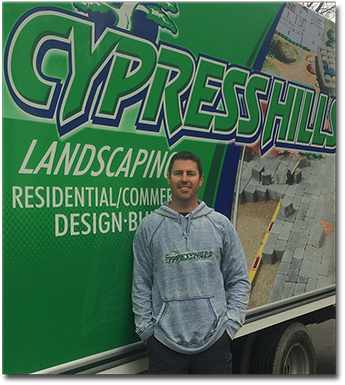 Cypress Hills Landscaping Inc. currently serves customers in Caledon, Brampton, Mississauga, Etobicoke, and the surrounding areas.